You’re playing a 5 handed cash game, the blinds are $25/$50 and you are sitting on the big blind with 3,800. 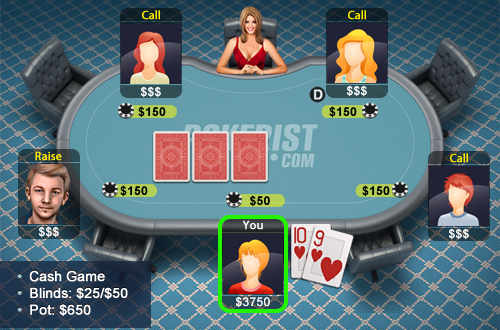 The player under the gun raises to 150 and everyone in front of you calls. You are holding 910 of hearts.